We have so many fitness options in our clubs that your routine will never feel repetitive. There is always something new and challenging to try, and with our fantastic team of coaches and personal trainers on hand, you’ll achieve your goals in no time. Our gyms have an unrivalled range of equipment and our group exercise classes will always keep you on your toes. Not forgetting our beautiful swimming pools, with our fantastic coaches and a wonderful spa to relax those tired muscles after a long day. There’s enough equipment, space and expertise to perfect the most detailed of exercise plans. With areas for cardio, free weights, functional training and more, we have something for everyone. Plus, our brilliant gym team are always on hand to help you master any technique and give you some great fitness tips. With so much choice it’s really easy to keep your workout interesting and new. Sometimes a bit of company is a great motivator, that’s why we love our group exercise classes. They’re perfect for adding that little extra bit of motivation to make sure your getting the most from every session. We’ve specifically designed our studios to suit different types of exercise. The Body & Mind studios are for all our holistic classes, such as yoga and Pilates. For something more cardio-based try a class in our Group Cycling studios, you’ll be sure to work up a sweat. Finally, our High Impact studio covers everything from interval training such as Les Mills GRIT™ and BODYPUMP™, to circuit training and martial arts. Whatever workout you enjoy, we’ve got a class you’ll just love. Not only do we have amazing equipment and an unbeatable range of classes, our Personal Trainers are the best around. They are qualified to a highest industry standard of excellence, not only that they are approachable and friendly. 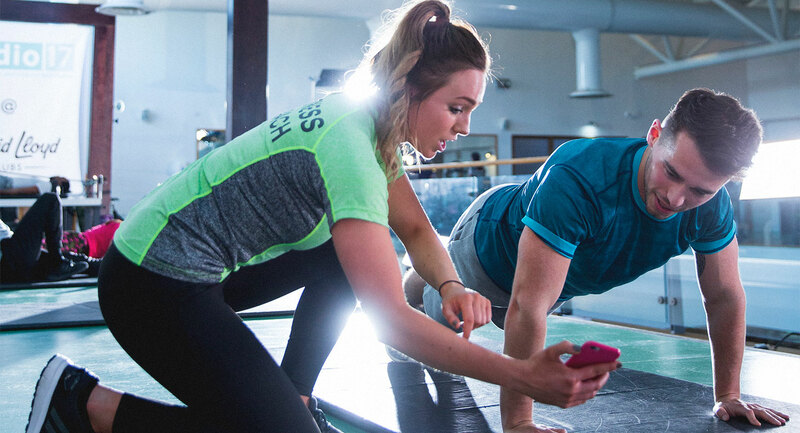 Whether they’re running a group session, gym-floor classes or providing one-to-one sessions, our trainers will keep you challenged, motivated and push you to help achieve your goals. You’ll be amazed at how quickly you see the results!